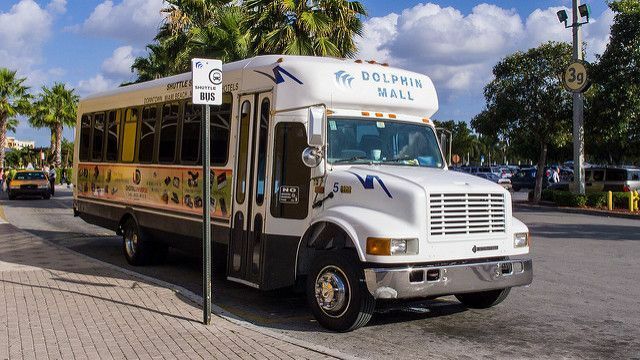 We operate two different shuttle bus services for Miami, FL: Daily Shared Shuttle Bus and Private Shuttle Transportation to and from over 40 Florida destinations, including our Miami to Cape Coral Bus, Miami to Bonita Springs and Bus Miami to Tampa. Miami Orlando Shuttle Transportation Reservations - BOOK NOW! last minute seats are limited and go fast. We recommend booking your trip at least 24 hours in order to secure your spot. For bookings in less than 24 hours please call 844-660-7106 for availability. Frequently our customers travel from Miami to many destinations in Florida for vacation, business or to visit family. Check out our Miami Most Popular Trips. From Miami, FL Florida Shuttle Now offers both Daily Shared Shuttle or Private Shuttle Transportation, our Miami trips are: Bus from Miami to Tampa, Miami to Cape Coral, Miami to Orlando, Miami to Naples, Miami to Port Canaveral, Miami to Fort Lauderdale and more. Although many Florida destinations offer something to do for every person; Miami, FL offers multiple things to do for everyone. From the world famous nightlife at South beach, to Little Havana with about every type of espresso and caffeinated drink available, Miami is something for everyone. Besides the excellent weather, vast array of shopping and many cultural activities, Miami is also a great sports town home to MLB, NFL, NHL and NBA teams. The Beaches of Miami are second to none. Enjoy white sandy beach, music and the iconic Miami Beach legendary crowd strolling along the beach front. Restaurants and places for entertainment are plentyfull and open all night. It is the perfect night to take a significant other or even a family day at the beach followed by the best food in Florida. Are you looking to go to Tampa from Miami? Our Miami to Tampa Bus runs daily! Take advantage of our Miami Shuttle Bus which is proud to provide courteous and on-time ground transportation services to all Florida major airports and seaports. Our fleet of modern, clean and reliable vehicles will get you where you need to go in a safe and comfortable way.